Fear and its apprehension are powerful and destructive. INTERNALS focuses upon the eroding quality of the mind, and behaviours, as consequence to the anxiety. The spiral is a means of establishing order. Constructing a space that can be entered and yet there is no clear line between inside and outside. A space that closes and opens at the same time; that progressively reveals itself. Through multiple medias, Olivia Kathigitis explores the human behaviours towards death, dying and bereavement. Presenting portraits of (the dissipation of) consciousness and the abstract span of realities. 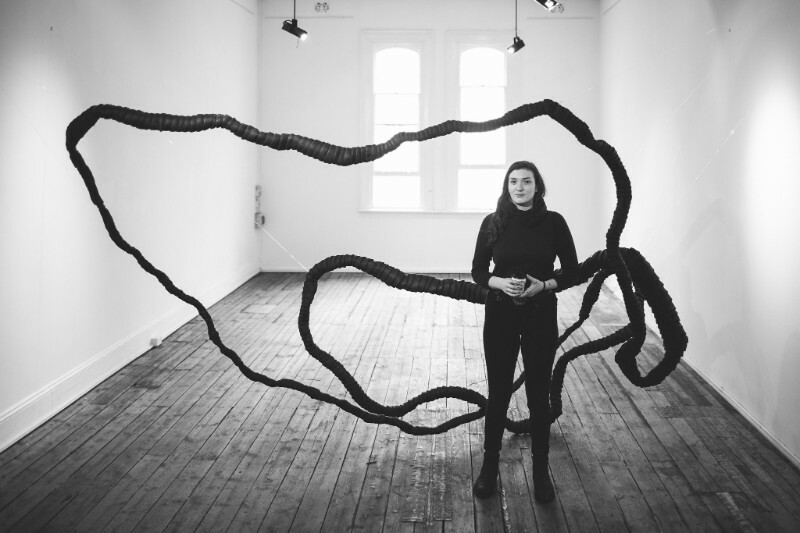 Kathigitis is a sculpture and installation artist based in Adelaide.